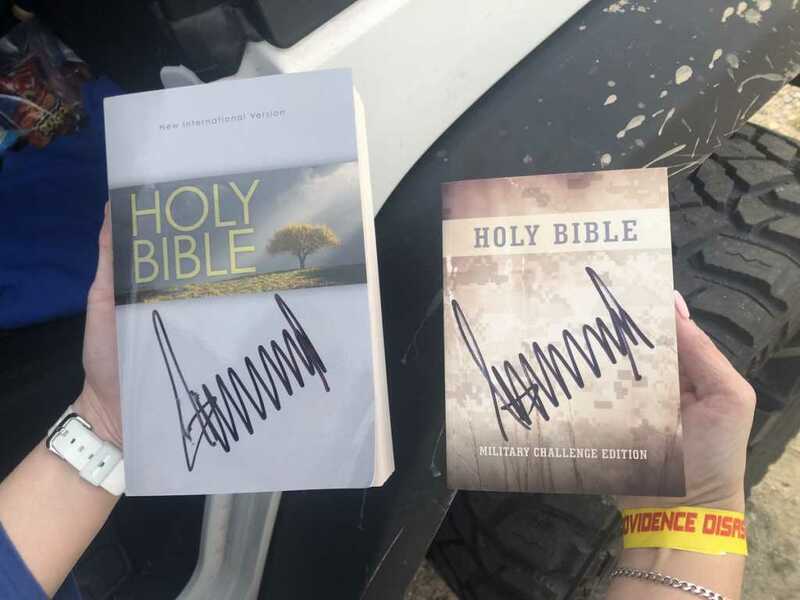 Earlier this month, President Donald Trump sparked widespread uproar after he was spotted signing Bibles while touring tornado-ravaged areas of Alabama. While many patrons will have taken their newly Presidential scriptures home and stuck them on a shelf, one such signed Bible was purported to have been spotted on eBay shortly after attention was brought to the incident in Alabama. After concerns were raised, authentication experts examined the Bible’s signature and concluded that it was indeed fraudulent. “I have taken a close look and compared the book to our authentic exemplary database,” Justin Steffman, the CEO and lead authenticator of AutographCOA.com, told the outlet. What did American Christians think about Trump’s Bible signing? There was a huge split in opinion regarding the strange optic of watching President Trump pen his enormous signature across the front cover of the holy book. Indeed, subsequent reports indicated that former Presidents such as Ronald Reagan and Franklin Roosevelt also signed Bibles during their time in office, albeit slightly more tastefully — with a spiritual message or an encouragement inscribed on the inside cover.